Greetings! I am going to make this post short and sweet as I've hired a babysitter today (and Thursday!) to get caught up on orders and I want to be as productive as possible with this time! I'm starting to feel like a pro when it comes to matching the print along the center back seam! But matching the print along the front yoke was a challenge! I didn't have a lot of personal sewing time over the weekend but I did want to do a little something. My friend Candice runs a wonderful blog called Candoodles, and every day she posts amazing tutorials that she has found or created. 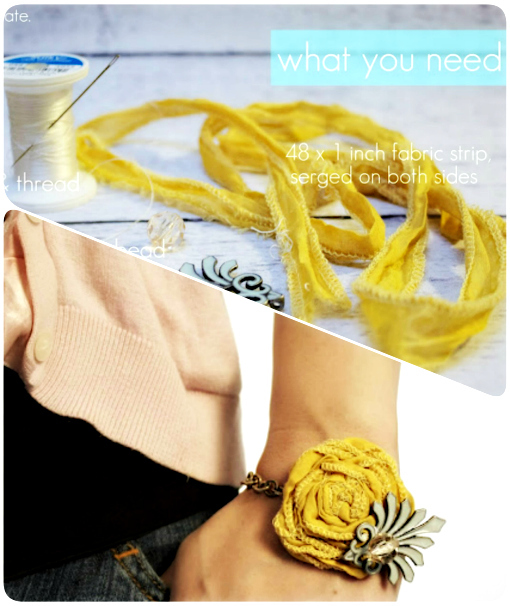 Last week she posted a tutorial for making a rosette bracelet. When I read the title I pictured something different from what the bracelet actually looked like. I used curtain fabric that I bought from a thrift store for wrapping the bracelet and making the rosettes (I just added the pink serged seam finish). The bracelet came from the same thrift store. I want to do more experimenting with this idea and I'm hoping I can score big on cheap bracelets at the Family Dollar Store this week. 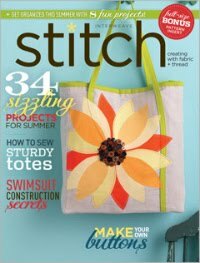 And then I'll likely put together my own tutorial! Wish me great productivity during my babysitter hours this week!